Know a deal when you see it. Have the guts to do it. Have realistic expectations about the risks and rewards of owning rental property long term. Number 1 – We have this covered for you. We’ll help you pick candidate properties in the right areas of Silicon Valley that are right for you, based on parameters we help you set. Number 2 – We’ll connect you with a good local Silicon Valley lender who can arrange your loan and help you establish what you can afford. We want you to use a local Silicon Valley lender, not an out-of-state lender. There are a number of reasons you will benefit from using a local Silicon Valley lender, and we’ll explain those to you when we talk. Number 3 – We can’t help you here – you either have the guts to do it or you don’t. We won’t try to talk you into buying if you’re not ready, but we won’t keep working with you once we determine you’re not ready. Many prospective buyers get stuck in their heads, stuck on their spread sheet scenarios, stuck in constant reasons why this house isn’t good enough or that house isn’t good enough. You may have heard the term Analysis Paralysis. Investing in real estate is risky and it takes guts. You might in fact lose money instead of making money, so you should indeed carefully consider if investing in real estate in Silicon Valley fits your personal financial goals before you start looking. We’ll answer any questions you have during our initial consultation and help you decide if you should be considering an investment property purchase in Silicon Valley. Finally, Number 4 --Once you have purchased a rental property in Silicon Valley, you need to have cash reserves equal to at least 6 months rent on hand and be ready to weather – both financially and emotionally – any bad luck streaks you might encounter as a landlord. It only takes one bad tenant and/or a prolonged vacancy to wipe out several months of rental inflows. It’s unrealistic to fill out a spreadsheet showing only gross rental income minus your monthly payment and to think that’s how it’s going to be each month and each year. A typical tenant turnover will eat up the equivalent of 2 to 6 months rent once you factor in vacancy loss, leasing commissions, advertising, maintenance make-ready, unexpected repairs, etc. If a financial event such as that will create financial hardship or stress in your life, you should NOT be purchasing rental income property. If you’re the type who will lay awake at night worrying about your vacancy and losing sleep, or pestering your property manager every few days to see if the home is rented yet, you should NOT be purchasing investment property in Silicon Valley. We can discuss this further during our initial consultation with you, but these issues are of extreme importance for you to consider prior to entering into the process of becoming a landlord. Our aim is to educate you to our point of view, as it applies to investing in Silicon Valley real estate, and, if you agree with our approach, for you to consider using us as your REALTOR® team members. Our’s is not the only valid approach to investing, but it’s worked for us and the many Buyers we’ve helped in the past. Below you will find more detail about our approach and why we stick to it. Is this a good time to buy investment property in Silicon Valley? Investment Buyers ask us “is this a good time to buy?” and sellers ask “is this a good time to sell?”. The answer is always the same – there is no right or wrong time to buy or sell real estate in Silicon Valley – it all depends on your personal goals and financial needs. It’s always a good time to buy the right property for the right price. We’ve personally bought and sold real estate every year in Silicon Valley since 1995 (as recently as June 2010), and we never pause to wonder if it’s a good time or not. We only consider whether or not it makes sense for us personally at that particular time to do that particular deal. Your decision to invest or not to invest in Silicon Valley real estate really does “just depend” on you and your financial goals. We can ask you questions about your reasons and motivation for buying in Silicon Valley, but ultimately, it’s your personal decision and nobody can tell you if it’s the right one or not. Also, making a good real estate purchase decision, or finding a “good deal” in the right location doesn’t necessarily mean you will achieve success investing in real estate in Silicon Valley. Hiring a good Silicon Valley Property Manager, or being a good landlord yourself, will be most critical in determining whether your real estate investment will be a profitable and rewarding long-term endeavor. We can make you aware of and help you avoid the common mistakes we’ve seen Silicon Valley real estate investors make during our many years managing, buying, selling and owning investment property in Silicon Valley, but we can’t promise or guaranty your long term success. Is Silicon Valley a good place to purchase rental property? Yes, many investors think so, and there is ample economic and market data to support the sentiment. We can’t predict the future, but we talk to a lot of investors who, after varying methods and degrees of evaluating many different cities, end up looking at Silicon Valley as a top candidate area in which to purchase rental property. Some investors we talk to have performed extensive, exhaustive and detailed analysis, comparing dozens of cities across the U.S. for real estate investment potential. They have spreadsheets, economic data and some have even traveled to several other cities doing research – and they end up buying in Silicon Valley. Other investment buyers we work with simply like Silicon Valley and think it is a cool place. They have done little or no formal research. They base their decision on a “gut feeling” or informal appraisal of Silicon Valley’s ‘vibe’ and our growth potential, or they want to live here someday and buy a home as investment to move into years from now. As unsophisticated as that might sound, trusting your gut is in fact an important component to investing in real estate. There are as many sets of rationale as there are investors, and we hear them all. The bottom line is that many investors pick Silicon Valley for many different reasons. Are New Homes the Best investment in Silicon Valley? We sell both new and existing homes to investors, but the vast majority of what we sell are existing homes in good, established neighborhoods in Silicon Valley. If you want to purchase a new home, you need to have the budget that allows you to purchase a home in one of the better established neighborhoods where land prices and appreciation prevent the new homes from undercutting the resale value of the existing homes. Why are existing homes a good investment in Silicon Valley? While new homes have many advantages, such as presumed lower maintenance costs, we prefer purchasing real estate in mature and established neighborhoods. Silicon Valley has many built-out and settled areas close in with large trees and well-built homes that are less than 10 years old. These properties (and even older ones) make wonderful candidates for investment homes. One advantage of choosing an existing home in a fully developed area is that there is less guesswork about what the location will look like in a few years, as there is in the fast developing areas outside Silicon Valley. What you see is what you get. Also, areas closer in are generally more desirable to renters and there is less resale competition from new homes. You also don’t have to worry about 5 or 10 other investors purchasing the same floor plan within blocks of your new home and competing against you for renters. Additionally, many of the older areas do not have the added carrying costs of HOA fees that almost all newer neighborhoods require. We can talk with you about some of the areas we think fit the description above that still have resell homes starting in the low- $200,000's. Let’s talk about Duplexes first. In general, you will find that the cash flow possibilities look slightly better with Duplexes than with single family homes, but not by much. There have not been a lot of new duplexes built in Silicon Valley in recent years though. So you’re generally going to be looking at older duplexes closer in, or newer ones further out. Tri-plexes are not a common type of dwelling in Silicon Valley, though there are some around, mostly in the older central areas. If you come across one, you would assess it much as you would a duplex. 4-Plexes (called Quads in some parts of the country) are 4 unit dwellings under one roof. These tend to have been mass built in clusters around Silicon Valley, mostly in the 1960's, and you have to be careful where and what you buy. Some of these areas have been run down and in severe disrepair for many years. Most fourplexes we’ve ever managed have been poorly built. 4-plex properties generally offer the most attractive investment returns on paper, but the numbers DON’T FULLY REVEAL the fact that 4-plexes DO NOT attract the highest quality renters. 4-plexes generally attract the most difficult types of tenants to manage. This is not to say that you shouldn’t buy a 4-plex, but in doing so, you should not assume that the better cash flow you see on paper will translate to reality. 4-plexes are hard to rent and harder to manage in comparison with single family homes and duplexes. Many of the Silicon Valley Property Managers we know, including us, won’t manage 4plex properties, period.homes, duplexes vs. single family, suburbs vs. closer in, and we will be happy to discuss these and factors during our initial consultation with you. 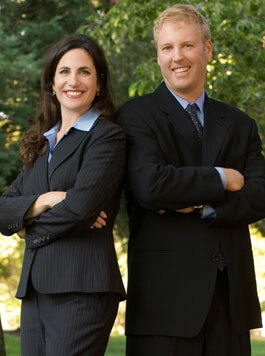 Our approach to investing seeks to do more than simply help you buy or sell a rental property in Silicon Valley. We have some specific ideas and values about the manner in which real estate investing should be approached, and the effects it can have on neighborhoods and the greater Silicon Valley Community. If you agree with our viewpoint, we want you to consider working with us. Imagine being a young couple with a new baby. You’ve finally been able to afford your first home in a new neighborhood just outside Silicon Valley. Suddenly you discover that your new neighbors to the right, left and across the street are Section 8 renters who care nothing about the neighborhood or how it looks. Many of your fellow property owners live out of state and many have never even seen the homes they own. A year later, your street is littered with rent signs, overgrown yards and vacant homes as the first wave of renters move out and the homes have to be re-rented to new people, which will be tough because the area is already starting to look run down. And now some homes are sitting vacant as foreclosures also. We believe this is a poor outcome for everyone, investors included, so we want to encourage investors to be more thoughtful in deciding what it is you hope to accomplish when investing in rental property in Silicon Valley. There is more to it than simply chasing the cheapest house that looks like it has the best cash flow. Owner Occupants provide the essential social fabric needed for any neighborhood to grow and mature in a healthy and vibrant way. Owner-occupants are the real stakeholders of their neighborhoods, and the ones who will provide the stability and “owner love” that manifest in beautiful lawns and well groomed homes that increase in value. Loading up a new neighborhood with investor-owned homes (and first time buyers with sub-prime loans) overwhelms that dynamic and leads to the onset of aesthetic decline, stagnant values, crime and poorer performing schools. Most of the production builders in Silicon Valley (and elsewhere in the US) learned that lesson the hard way as their new entry level subdivisions filled up with renters and vacant homes instead of owner occupants. Most new home builders in Silicon Valley now limiting investment sales and many have stopped selling to investors completely. When deciding on where to help you find a home, we think you’re much better off in an area where owners LOVE their homes and can afford them. We think you should spend a little more money and buy a better home in an area that less enlightened, short-sighted investors stay away from. Or consider purchasing an older investment property in a mature and established neighborhood. While other investors are looking for the cheapest homes with the best “spreadsheet” cash flow, you should be looking at the neighborhoods with better long term appreciation and value potential, where the homes are well cared for, or the area is undergoing a renewal. If you are willing to sacrifice just a little on cash flow, we think you will agree with us that the eventual sales value of your investment property will easily make up for the small cash flow sacrifices you make in purchasing a better quality home surrounded by home owners who care about the neighborhood. To that end, if you are purchasing a new home, we look for Builders and new subdivisions who limit their investor sales to 5% to 10% of homes sold in the subdivision, or for subdivisions that are too expensive for the cheap bargain hunter investors. This benefits both you and the neighborhood and serves to better protect the future value of not only your home, but the homes around you. The future sales value of your investment property, and your future wealth, will be more greatly affected by the resale value of your home than it will the monthly cash flow you receive or the initial price you pay. CASH FLOW DOES NOT BUILD WEALTH. APPRECIATION BUILDS WEALTH. What Price Range is best for Investment Properties in Silicon Valley? This is another one of those “it depends” questions, but the short answer, in our opinion, is that for most investors the $300,000 to around $1,000,000, and even higher in the right neighborhoods. The $300,000 to $600,000 price range is where the “bread and butter” family homes can be purchased and it represents the value range of homes which are in the highest demand by renters. How Much will These “Bread and Butter” Silicon Valley Rental Homes Rent For? Having managed rental property in all areas of Silicon Valley since 1995, we have a pretty good feel for this. Our experience and opinions are backed up by data we’ve compiled from the Silicon Valley MLS. The short answer is that a rental home in Silicon Valley will lease for roughly $1.75 to $2.75 per square foot, give or take, depending on where you buy and the size, age and condition of the property. There are of course exceptions, but most rentals fall into this range. We post regular sales and rental stats on our website that provide you with an ongoing picture of what’s happening in the Silicon Valley sales and rental markets. Are some Areas of Silicon Valley doing better than others on in the rental market? Yes. In general, the closer to the penninsula and the penninsula, the stronger the rent values. But if you get too far up, the sales to rent value ratios don’t work as well. We have found the most value is in the South Bay, where the rent value ratios are much better. Can a home in Silicon Valley provide 10% of its purchase price in annual rent revenue? No, not usually, not anymore. The sales value to rent ratio gap started spreading apart in the late 1990s and is still out of balance due to high property prices in Silicon Valley. You should assume that a home you purchase for rental in Silicon Valley will provide a gross annual rent amount of about 5% to 8% (+/-) of the sales market value of the home. Lower priced homes enjoy a better ratio but don’t attract as high a quality of tenant. High priced homes enjoy a lower ratio, but will appreciate more in dollars and attract better tenants. Will a Rental Property in Silicon Valley Provide Positive Cash Flow? With the right down payment, of course it will. But positive cash flow is not possible in most cases unless you are investing 30% or more of the purchase price as down payment. This is where you have to be very careful about investing in real estate in Silicon Valley and knowing what your financial abilities and goals are. We’ve seen many newbie investors (not ones that we’ve helped) purchase a home with all of their cash reserves, and then not have the staying power to absorb vacancy or repair costs. There is nothing worse than a landlord who can’t afford to be a landlord. If you don’t have the financial resources needed to sustain yourself as an investment property owner, which means the financial and emotional ability to ride the ups and downs of turnovers and unexpected repairs, you should consider other ways to grow your wealth. Unless you are making a substantial down payment on your real estate purchase, you are not investing in rental property in Silicon Valley to achieve a monthly cash flow income. Instead you are seeking to hold the property 5 or 10 years while it increases in value (in accordance with your assumption that real estate values will continue to increase long term), during which time the rent pays for most of the carrying costs and you have the financial ability to maintain the condition of the property and absorb any negative cash flow. Some years later, if your assumptions turn out to be correct and the property appreciates in value, you will sell the property and cash out. The proceeds of that sale will (again, if your assumptions are correct) net you more than if you had deposited your down payment into a mutual fund and fed that fund with the equivalent of your negative monthly cash flow over the same time period. At that time, you will then know whether your investment in real estate was a good move for you. Does this sound like what you have in mind? The short version of what we tell investors is that if you don’t have at least 20% down payment, cash reserves equal to 6 month’s rent, and a willingness to accept a potential negative cash flow or $300 to $600 per month, you should carefully reconsider your readiness to purchase investment property in Silicon Valley . If you aren’t fully prepared to accept the possibility that your investment property might produce negative cash flow, you shouldn’t be buying rental property in Silicon Valley and we shouldn’t be trying to sell you on the idea of doing so. Other REALTORS® will let you chase better cash flow out into the newer outskirt areas of Silicon Valley where you can buy a cheap home that will provide better numbers. We don’t do that because we ourselves won’t buy homes like that in those areas. Read Why I Just Passed on a Positive Cash Flow Investment Property in Silicon Valley to get a better understanding of why we stay out of those areas and keep you out as well. The bottom line, in our opinion, is that Silicon Valley investors who can afford larger down payments, higher price ranges, and modest negative monthly cash flow are well positioned to buy and hold Silicon Valley real estate, and will prosper immensely. Disclaimer: You should ALWAYS consult with your accountant and attorney before purchasing investment property to learn how that activity might effect your personal financial and legal situation.